We are pleased to bring the Tooth Fairy to your school or daycare. This fun and informative presentation will help teach children between the ages of 3 and 6 years old about the importance of proper dental care. Our Tooth Fairy program will work magic teaching kids to take care of their teeth and showing them how enjoyable and easy a visit to the dentist can be. Each child will receive a “goodie bag” containing an activity book, healthy snack list, a sticker and a brand new toothbrush! The program is free of charge and is a public service of Smiling Kids Pediatric Dentistry and doctors Swati Singh and Sam Bullard. 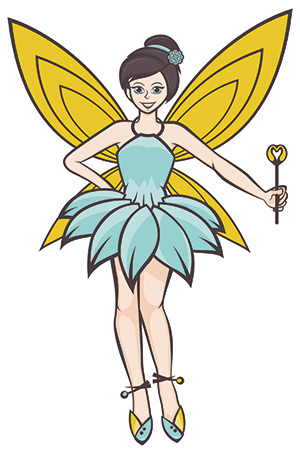 To request a visit from the tooth fairy, please email marketing@smilingkidspeds.com or call 317-580-9199. Our presentations are only held on Fridays.